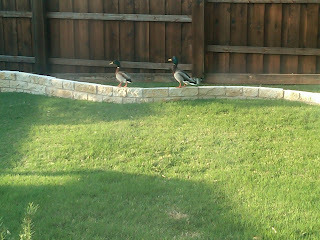 oh, those kahles ...: Remember the duck that was in our backyard? 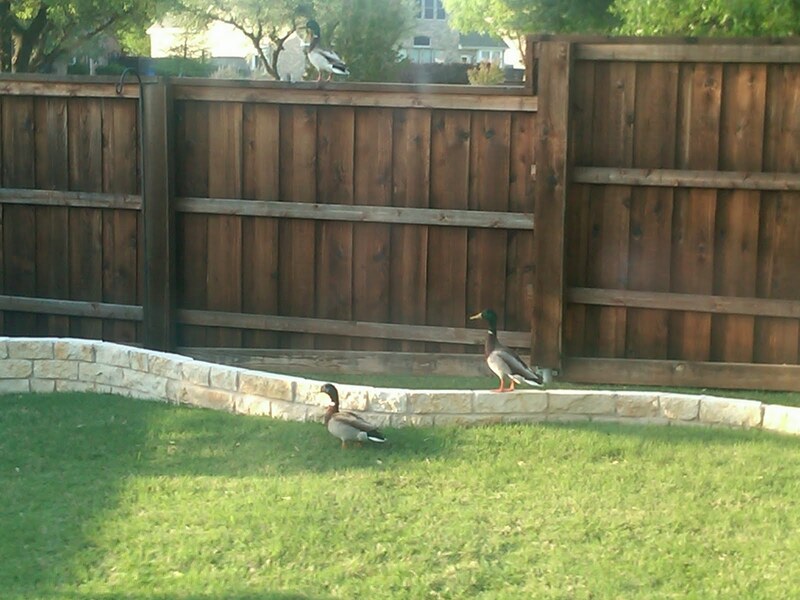 Remember the duck that was in our backyard? Elizabeth decided to feed said duck. 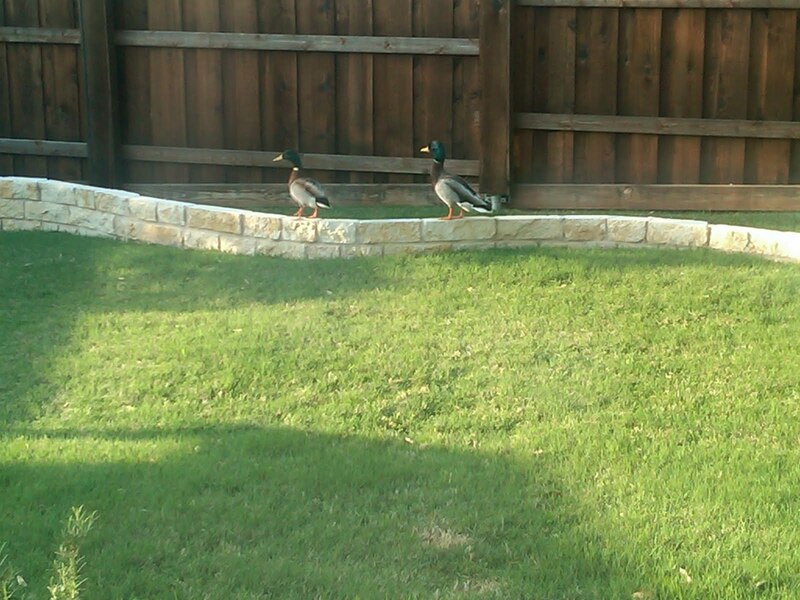 Especially since he'd brought some friends over to our house as well. 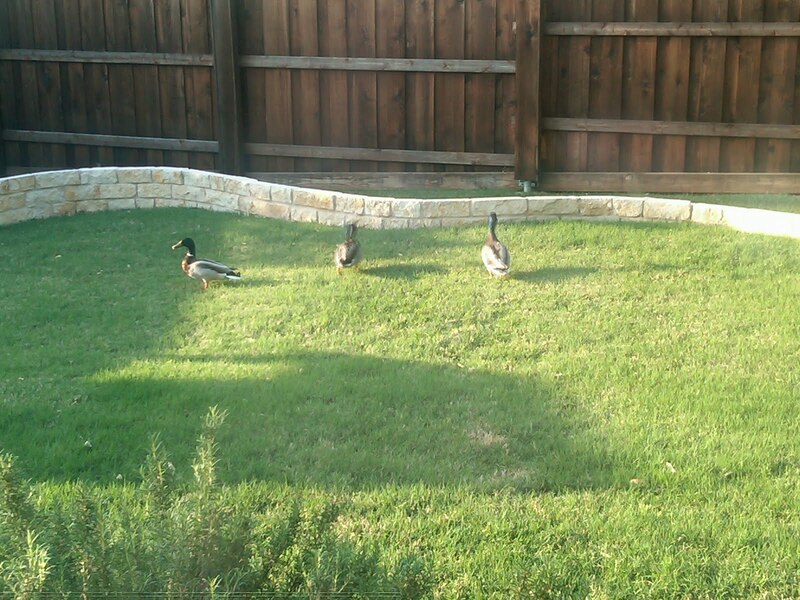 Yes, in the span of about five minutes there were four duckies in our backyard. 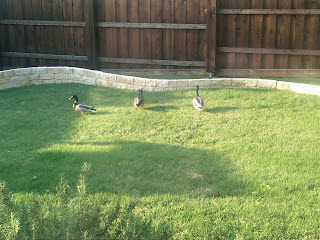 And since we were peering at the ducks from our kitchen window, Elizabeth grabbed some bread to throw out and feed them. She grabbed the nearest bread she could find ... gluten free bread. I was appalled that she would throw such expensive bread out to the little feathered guys. She reasoned that everyone really needs to learn to eat better. 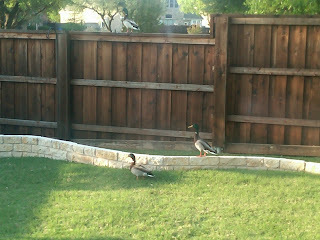 Even ducks. This morning, the gluten free bread was still there ... still adorning our lawn. Even ducks think gluten free bread is gross. I like those ducks. Next time they stop by I'm gonna offer them pizza. And maybe a beer.